Majida Mourad is the Vice President of Government Relations at Tellurian Inc. Ms. Mourad served as Vice President of Government Relations at Cheniere Energy, President of Abraham & Roetzel LLC, and Partner of The Abraham Group LLC, a strategic consulting firm focused on the international energy sector. Prior to joining The Abraham Group, Ms. Mourad served as Senior Advisor to the Secretary of Energy from January 2001 until February 2005. During that time Ms. Mourad focused on the United States Department of Energy international relations in the Middle East, Australia, Russia and a host of European and Asian countries. In this role, Ms. Mourad traveled extensively on behalf of the Department and on DOE delegations to the North American Initiative, the G8 Energy Ministerial Conferences, the Western Hemispheric and US-African Energy Ministerial Conferences as well as numerous other DOE initiatives. In addition, she performed key Department assignments with the International Energy Agency, International Atomic Energy Agency and the International Energy Forum. She also served as one of the Department’s senior officials for the Liquefied Natural Gas Summit, the International Partnership for a Hydrogen Economy and the Carbon Sequestration Leadership Forum. In 1999, she served in the Senate for U.S. Senator Spencer Abraham from Michigan. Ms. Mourad began her career in the legislative field in 1996 with Congressman Sonny Bono, and later to his successor, Congresswoman Mary Bono. 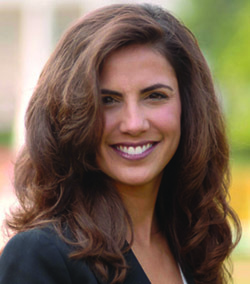 Ms. Mourad currently serves as a National Capital Trustee of the Boys and Girls Club. She is also a member of the National Energy Resources Organization Board. When I first came to Washington, I had no intention of entering the energy field. I started off, as so many do, working on Capitol Hill and trying to grasp how the town worked. Something I learned very early on is that it is imperative to like who you are working for. I have had the great fortune of working for wonderful people who have served as mentors and helped guide me through my career. One of those individuals is former United States Senator and Secretary of Energy, Spencer Abraham. I worked with Secretary Abraham while he served in the Senate; He is the one who brought me into the energy world when he offered me a position at the Department of Energy when he was named Secretary. Working at the Department of Energy was a wonderful experience; I got a unique perspective and understanding of the international energy market. Later, Secretary Abraham and I started The Abraham Group, an energy consulting firm. I continued to work on energy regulatory and government affairs matters, project assessment, and business development in the international market. I valued my time working with Secretary Abraham and he certainly helped shape my understanding of the energy sector. One of the energy leaders I got to know while at the Department of Energy and then The Abraham Group was Charif Souki, founder of Cheniere and Tellurian. Charif Souki is a natural born leader and someone I admire for his innovation in the energy sector. When I started with Charif, we worked for Cheniere, which he founded. Cheniere was the first in the United States to have an LNG export facility permitted in the lower 48. Mr. Souki eventually left the company and founded Tellurian, another LNG company with even bigger LNG project aspirations. Recently I was given the opportunity to join the team at Tellurian and I am very pleased that I did. I have found success in my career by finding the right people to work for and sticking with them. Fortunately, in my case, it has translated into an incredibly fulfilling career. I think that there is more receptivity to women holding leadership roles in energy although not as strong as it could be. Several women now serve on the boards of public energy companies and both Sempra and Occidental Petroleum, for example, have had women as CEO’s. The company I work for now, Tellurian, has a woman as its CEO, Meg Gentle. Tellurian we are very fortunate to employ a diverse workforce. In fact, based on our knowledge of other publicly traded energy companies, we have a higher percentage of senior executives who are women than our peers in the industry. Our CEO, Meg Gentle, believes in hiring the best and brightest as evidenced in the significant number of females with STEM and technology backgrounds who work at Tellurian. Our focus on hiring the best for the job has resulted in a diverse workforce and a unique model that we are working to execute. Absolutely. Luckily, I work for a company with great leadership that looks to promote and recognize hard work, giving everyone, including women, plenty of opportunities to succeed at Tellurian. In addition, we are led by an accomplished and talented CEO, Meg Gentle, so we have a wonderful role model at the helm. At Tellurian, we hire the best candidate for the job and this has worked well for us when it comes to gender diversity. In fact, 40% of our current workforce are women who are of diverse backgrounds, skills and are from diverse countries of origin. We have a global business model, so diversity in our workplace is a given. Tellurian is an equal opportunity employer and does not discriminate on gender, origin or persuasion. We hire, mentor and develop the best professionals for every job and feel that diversity in our workplace is a competitive advantage. I believe we should support early learning for children in all STEM fields, including energy. Early exposure to the range of possibilities can be tremendously powerful and a motivator for children to excel. We must feed the industry’s talent pipeline early in order to make real change. We just started the Tellurian intern program and I am excited to see the impact of that in the coming years.